Conor continue son périple dans le Sud Ouest de l’Irlande. 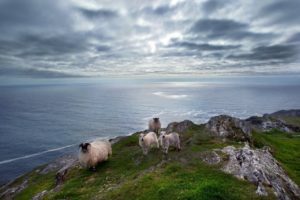 Il vous fait maintenant découvrir les trois péninsules de Cork : Mizen Head, Sheep’s Head et Beara (à cheval sur les comtés de Cork et Kerry). 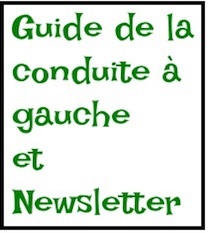 De très belles péninsules hors des sentiers battus à découvrir. Schull is one of the highlights of West Cork, and I would certainly recommend staying a night there. There’s so much to do and see: the harbour is full of sailboats, there are lovely shops, cafés and restaurants on the main street and the relaxed Sunday morning street market is great fun. You can enjoy a drink in the street in front of Hacketts or Newmans pubs and chat with the locals. Enjoy a wonderful dinner experience in the oldy-worldy Grove House, or for something simpler but still delicious, L’Escale on the waterfront for the best fish and chips in West Cork. 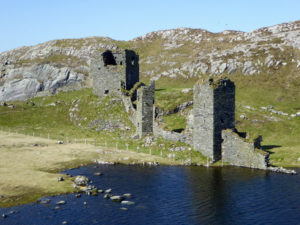 For a wild ocean and lake walk, in a magical isolated place, Three Castle Head at the tip of Mizen peninsula is hard to beat. The day we walked it, there was no one there. And in the summer months, you can pop into the lovely Three Castle Head Café on your way back. Sheep’s Head is often ignored by visitors because there isn’t much there (except sheep), which is exactly why I love it. It’s isolated, quiet and stunningly beautiful. The first time I drove down the peninsula was in thick fog. We saw absolutely nothing ! The second time was on a lovely sunny day and I saw what I have missed the first time. If you want a stress-free retreat, away from the world, Sheep’s Head is the perfect place. When I go there, I just want to walk. There are a number of superb loop walks to do with spectacular sea views in every directions. 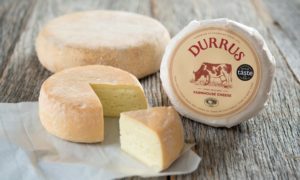 There are lots of good fun as cheeses in the South West of Ireland. And one of the best known is from Durrus, the Irish word for door. 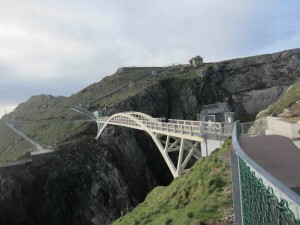 Durrus connects Mizen peninsula with Sheep’s peninsula. 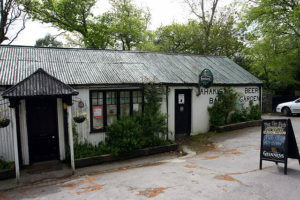 In Ahakista, there are two cool little pubs: Ahakista Bar aka (also known as) The Tin Pub & Arundel’s by the Pier. 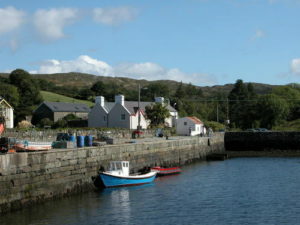 On down the peninsula, is the village of Kilcrohane where you will find Eileen’s bar as friendly and Irish pub as you will ever visit. All in all, Sheep’s Head is pretty unique corner of West Cork. 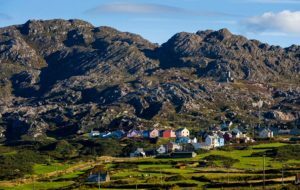 Beara is less visited than its more famous neighbour to the north, the Ring of Kerry, but it is wilder and equally beautiful. 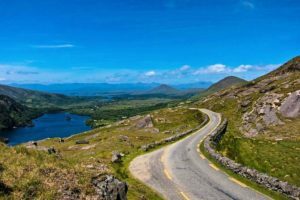 You should definitely drive over the Healy Pass, take the cable car over to Dursey Island, visit the Japanese gardens on Garnish Island and, if you have time, the exotic Derreen Gardens. And O’Neills in Allihies and the lovely MacCarthys Bar in Castletownbere… But it doesn’t really matter where you go on Beara, it’s all stunning ! 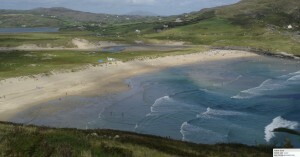 This part of north Beara is in county Kerry. Helen’s bar is a little gem, off the beaten track, overlooking idyllic Kilmakillogue Harbour. Maria and I spent a wonderful evening there a few years ago, as the sun was setting. It’s famous for its mussels and they didn’t disappoint. They were fresh and juicy, and the pint of Guinness to accompany them was perfect. Helen’s is also a B&B…what a great place to escape to for a couple of nights.